A boy sits on the remnants of a fishing boat left from the 2005 Boxing Day tsunami. 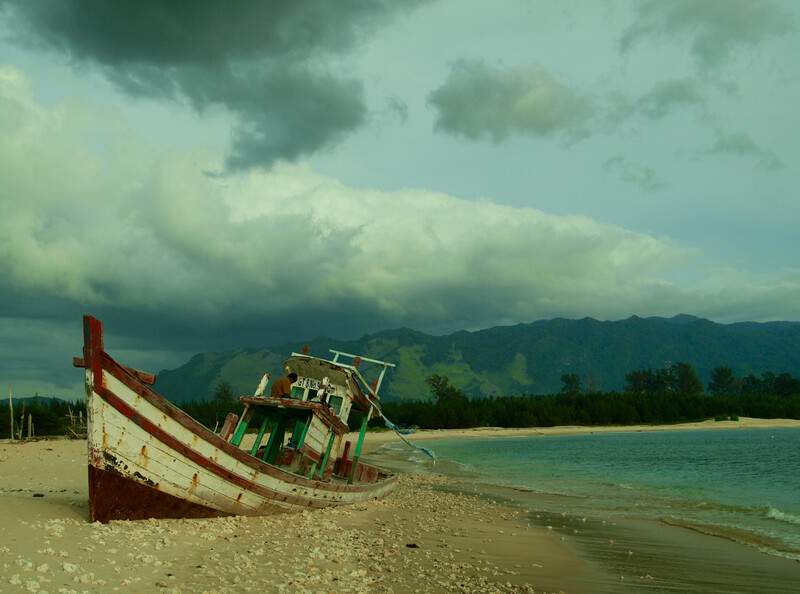 Lampuuk, like the entire coast of northwestern Sumatra, was devastated by the tsunami. In this town, an entire generation of school children were nearly wiped out. This is one of the survivors. Despite the trauma, he still spends most of his day in and around the sea fishing, surfing and thinking.